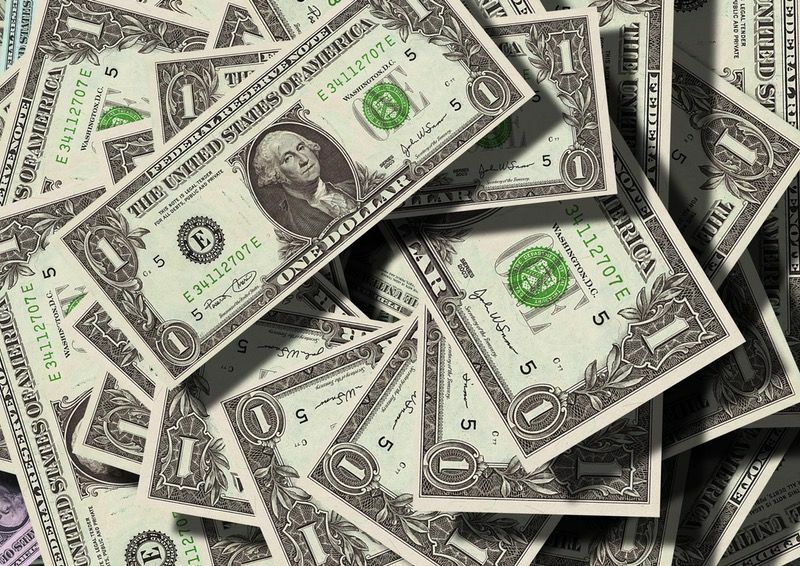 Contractor Salary Breakdown: Learn How Much Contractors Make. Determining an average contractor salary is tough. If you’re asking how much contractors make, then the answer is: it depends on what state you live in, what trade you’re talking about, etc. Here’s a breakdown by trade, according to the Bureau of Labor Statistics (updated May 2017 by BLS), and keep in mind these wages are listed as the “median” pay. That means “the wage at which half of the workers in the occupation earned more than that amount and half earned less. Median wage data are from the BLS Occupational Employment Statistics survey.” Basically, it means that the wages listed here are smack in the middle – half the people polled earned less than the amounts listed here, and half earned more than what’s listed here. View 32+ more construction careers, salaries, & resources. Carpenters earn an average of $21.71 per hour, or $45,170 per year. Construction Laborers earn an average of $16.08 per hour, or $33,450 per year. Electricians earn an average of $26.01 per hour, or $54,110 per year. Flooring and Tile Contractors earn an average of $19.35 per hour, or $40,250 per year. General Contractors (including construction managers) earn an average of $43.93 per hour, or $91,370 per year. Now, we should note that if you came here looking for General Contractor salaries (or independent contractor salaries), this last statistic factors in a couple things that you should know. 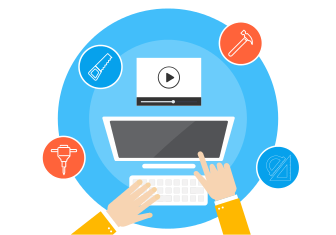 Watch Construction Courses Online – FREE. No time? Enroll now & watch later. Signup with email, and watch the courses whenever you want. The BLS reported the above salary for General Contractors, based on the BLS Occupational Employment Statistics survey. However, in their article they state that the BLS Stats for General Contractor Wages includes “construction managers” and a few other leadership roles. So this listing provides a good ballpark for you, but obviously the person working as a Construction Manager at a huge commercial construction company is quite different from the General Contractor performing residential builds and remodels. First, a contractor salary depends on whether or not you own your own business. For the sake of this article, we’ll assume you operate your own successful construction company or specialty skilled trade business. At the end of the day, it depends on how profitable you are as a business owner. Meaning, if you’re not working fast enough to be profitable or money is leaking out somewhere else, you’re take-home pay is going to suffer. On the other hand, if you learn how to manage your team well and you’re able to be profitable on each job, you could do quite well for yourself. *We discuss how to set your own salary as a construction company owner below. This one is pretty simple: what you make in New York City, is going to be different than in Nicholasville, Kentucky. 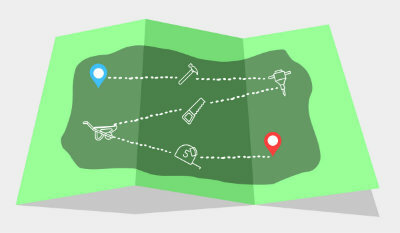 So while this article gives a helpful ballpark for how much money you can earn in construction, or how much a contractor salary will be, you’ll want to check local hourly wages to get a more accurate version. This factor is a little more tricky – but we’ll try and break it down. Let’s say your a 10 year carpenter who does amazing work. You’ve done it all, and now want to start your own remodel/design company, and you’re wondering how much you can or should charge. In part, it’s going to depend on how good your work is, and feeling confident in the quality of your work, then finding the right clients who will pay for that. In other words, you could be the best contractor in the world, but if you’re targeting clients who can’t afford to pay what you’re worth, then you won’t make what you need or want to. Or, you might be reaching clients that could afford you at the rate you want to charge, but they don’t want to pay it. Some homeowners just feel like you shouldn’t cost that much, and are looking to get a deal. On the other hand, if you clearly communicate the quality of your work, the services you offer, and why you’re worth the higher cost – you can be more selective with the types of clients you have. For example, their may be a more affluent town near you where the homeowners are willing to pay a higher rate for contractors that run a clean job site, and perform excellent work. Invest 90 minutes to help you build your skills and grow your company’s backlog! Sales are a critical part of a successful construction business. Without sales, construction crews would sit idle. 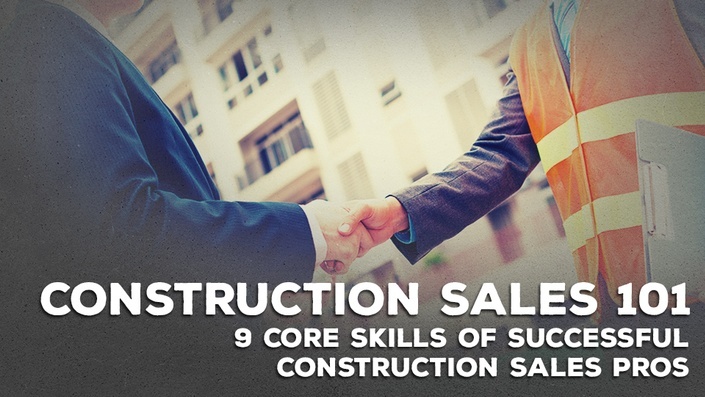 This course discusses the 9 Core Skills that Construction Sales Pros leverage to compete for and sell projects in the construction industry. Are you an owner of a construction company? Maybe you are considering starting a construction company? A topic that often comes up is how to set your salary as the construction company owner. Setting a salary for the owner is difficult. There is a balance between taking too much and taking too little which needs to be maintained. Take too much and the company can suffer from poor cash flow. Take too little and there is less incentive to keep working hard. If you are looking for a set rule for determining your income level you will most likely be disappointed. There is no hard and fast rule that can be adhered to. On the contrary, there are multiple factors that impact where you are able to set your salary as a part of your construction company. There are different factors to consider when choosing your pay rate as a construction company owner. A contractor salary (= your salary) cannot impact the cash flow of the company is a negative way. As the owner, you need to make sure that the company can pay its bills. This includes payments for equipment such as vehicles. It also includes paying material bills. The cash flow from your projects needs to cover the direct expenses on the job. Taking to high of a salary can leave your company is a poor cash flow position. You want to make sure that your salary is not placing strain on your company’s cash flow. This may require you to adjust your salary in times when business is slow or cash flow shows signs of not being able to keep up. If you find that you cannot take a sufficient salary from the business you may need to reevaluate your business plan. A sufficient salary is a subjective term. Self-analysis may be required to determine if you need to trim your lifestyle to fit into your business or increase your business to support your lifestyle. The corporate structure that you choose can impact how you set your salary. There are different types of corporate structures. How you set your salary as an owner of a construction company is influenced by the corporate structure that you have chosen. It is strongly recommended that you speak with your accounting professional about how your corporate structure influences your salary. There are different corporate structures that you can choose when setting up your construction company. Sole proprietorships are the most simple to set up. But they also afford the least amount of protection for you as an owner. Without the separation between you and your company, the money that the company makes is what you make. Corporations provide protection for you as the owner. The company stands separately from you and is considered a separate entity. C-corps and S-corps are two primary types of companies. Each have their unique characteristics which need to be considered when deciding on a corporate structure for your construction company. And each one impacts how your salary is set as an owner of a construction company. Again, speak with your accounting professional about how to set your salary when operating your company in one of these forms. There are additional corporate structures including Limited Liability Company (LLC) and a Limited Partnership (LP). Both are unique structures that impact your salary as a construction company owner. Keep in mind that with any structure where you have a partner that you need to be certain that how each you is taking your salary is clearly laid out. This can be laid out in a partnership agreement. Being an owner is a separate role. Ownership is not the same as being a foreman or being an estimator. There is a difference between dividends and a paycheck. Dividends are paid to owners. A paycheck is given to employees. When you are working your day-to-day job you are an employee and your paycheck should be on par with what the market will pay for your position. Does the market pay $25 per hour for a foreman in your trade? Then you probably are not going to be in a position to receive $50 per hour for the same services. If you set your weekly paycheck to what you would pay for someone that you would hire to fill your position you will find that the company will perform better financially. What is left over after all of the direct expenses and overhead of the company are paid is the net income for the company. This money which remains can be used to pay dividends to the shareholders of the company. Each corporate structure is different in how it treats income at each level within the company’s financial statements. Be sure to speak with your accountant or tax professional before making any decisions about setting your salary as a construction company owner. Setting a salary for employees, or determining what an exact contractor salary should be is a difficult process. This is especially true when the employee takes on and fills multiple roles. What is the value of each role? How much time do they spend in each role? Answering these questions is difficult for a dynamic employee. And it does not get easier setting the salary for the owner since most owners fill just about every role within the company. One day you are sweeping the yard for nails. The next day you are closing a sale on a $500,000 project. Treat yourself as you would treat any of your other employees. What value do you add to the company? Set your salary accordingly. As you want to increase your income begin to peel off the parts of your job that you are overpaid for. Learn to delegate. Giving yourself the a good salary will incentivize you to continue building your company. It will also show your employees that you have a good understanding of your own value. Being able to value yourself correctly will help build respect from your employees. *Note* – The contents of this post are not offered as professional, legal or accounting advice. It is strongly recommended that you seek advice from your accountant, tax professional or attorney regarding how to set your salary as a construction company owner. This was a excellent informative post you have shared on his page about the corporate structure ,but The corporate structure that you choose can impact how you set your salary. There are different types of corporate structures. How you set your salary as an owner of a construction company is influenced by the corporate structure that you have chosen. It is strongly recommended that you speak with your accounting professional about how your corporate structure influences your salary. After reading your article I can say that you have done great research about on contractor revenue. Just saying keep it up.